Losing a loved one is never easy. When people experience loss, they need a strong support network to provide comfort and offer encouragement. It's important to take the time to acknowledge the uniqueness of the deceased: the individuality of their personality, and the uniqueness of their life's path. Not just for them, but for you; it affirms the relationship, and leads to healing after loss. Honoring their life is truly an act of love - for the both of you. The staff members of Charles W. Scheurle Funeral Home, a name and a reputation you can trust, with over 100 years of service will guide your family in creating a meaningful ceremony to honor the life and memory of a loved one. A ceremony can be anything you wish it to be: simple or elaborate, traditional or unique. No matter how it's tailored, such a ceremony is an important step in recovering from loss. The prices below are based on the General Price List for Charles W. Scheurle Funeral Home. However, funeral homes sometimes have special pricing packages available, and you should ask if those are available. Please let the funeral director know that you found Charles W. Scheurle Funeral Home on Parting.com to allow us to continue helping families like yours. The General Price List we have on file for Charles W. Scheurle Funeral Home has an effective date of June 25, 2015. The prices on our site are for your reference only. We can’t guarantee that the actual prices will be the same as the prices listed on our site. All funeral homes have an effective date on their Price Lists that are subject to change and we recommend that you ask the funeral home for its most recent prices over the phone or for a copy of their General Price List. 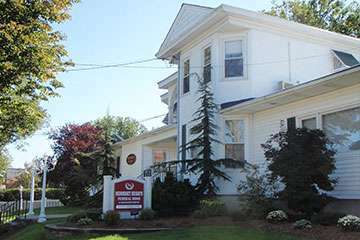 The funeral directors at Charles W. Scheurle Funeral Home are available to provide you with expert advice.